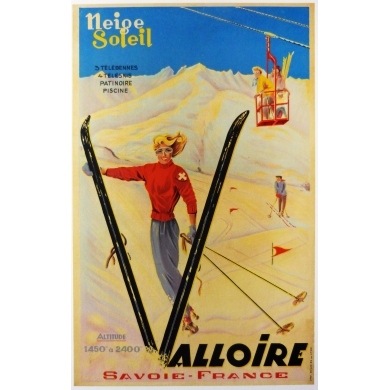 Mountain - Ski There are 15 products. 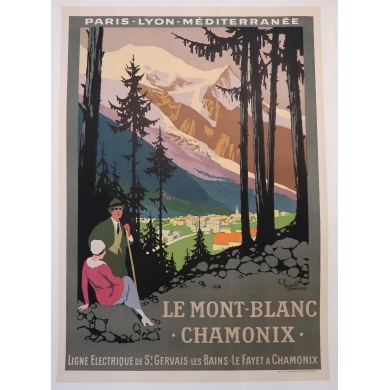 Original Roger Broders poster for Mont-Blanc-Chamonix around 1924 Condition A + Stitched on linen Size: 78 x 107 cm Price upon request We are at your disposal by e-mail and telephone to inform you. 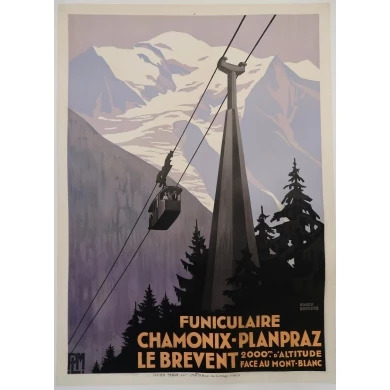 Original Roger Broders PLM poster for the Chamonix Funicular - Planpraz Le Brevent Date: 1928 Condition A + Stitched on linen Size: 78 x 108 cm Price upon request We are at your disposal by e-mail and telephone to inform you. 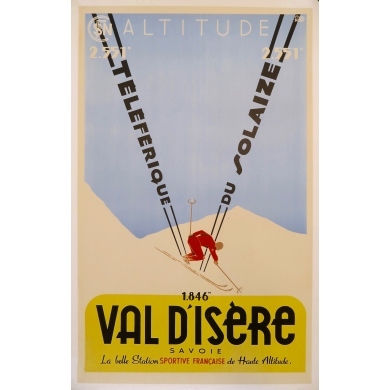 Original vintage poster late 1940s for the French sports resort Val d'Isere in Savoie signed by Chas BORE. Printed in France. Condition A + Stitched on linen Size: 62 x 100 cm Contact us for the price. 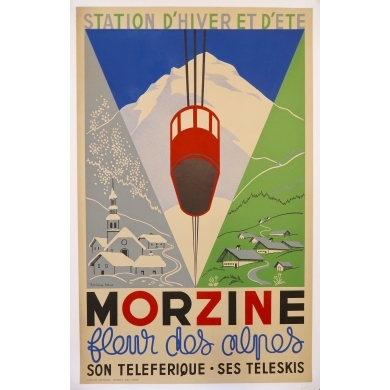 Original vintage poster of the late 1940s for the French sports resort Morzine in Haute Savoie Signed by R.Michaud & Avril.Thonon. Printed in France. Condition A + Linen backed Size: 24.4 x 38.9 inches Contact us for the price. 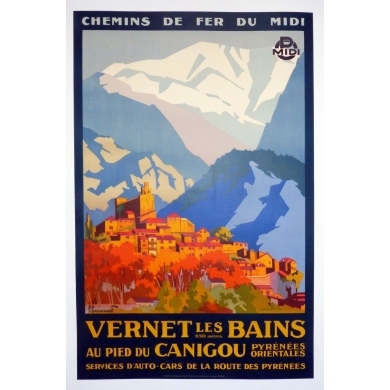 Original vintage poster made and signed by Kama for the Téléférique of vintage . Circa 1940 Printed in France in Paris. Condition A + Stitched on linen Size: 62 x 97 cm Contact us for the price. 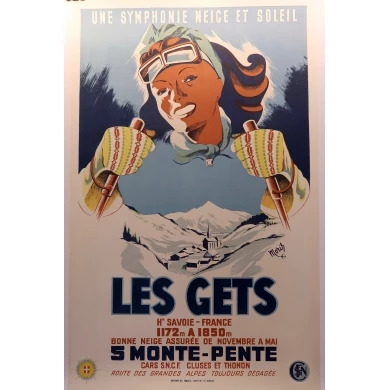 Original poster made and signed by Moris for Les Gets in Haute Savoie. 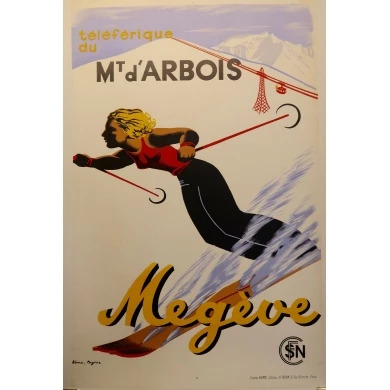 Circa 1940 Printed in France in Paris. Condition A + Stitched on linen Size: 63.5 x 99 cm Contact us for the price. 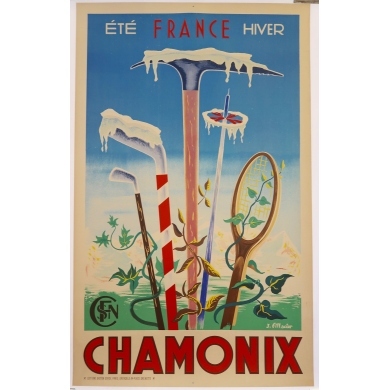 Original vintage poster made and signed by J. Fillacier for Chamonix. 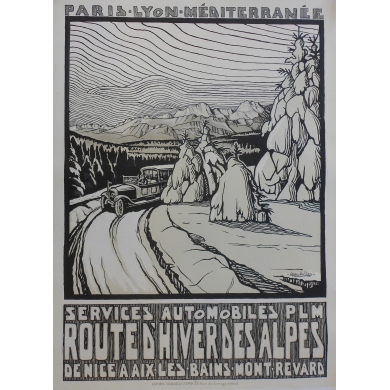 Circa 1940 Printed in France in Grenoble. Condition A + Stitched on linen Size: 62 x 99 cm Contact us for the price.